EdgeGear believes efficiency is key when it comes to moving. 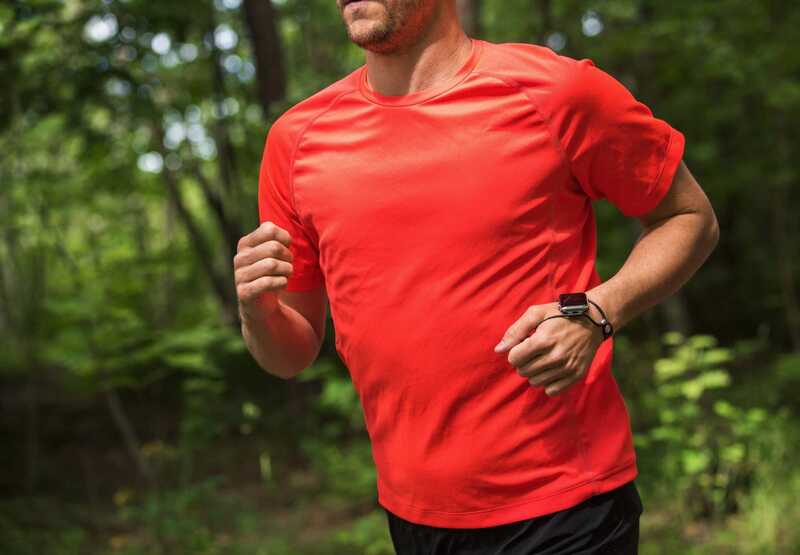 Engineers and runners James Gilmore and Andrew Green, obsessed with both metrics and running form, wanted to interact with their smartwatches without breaking cadence. 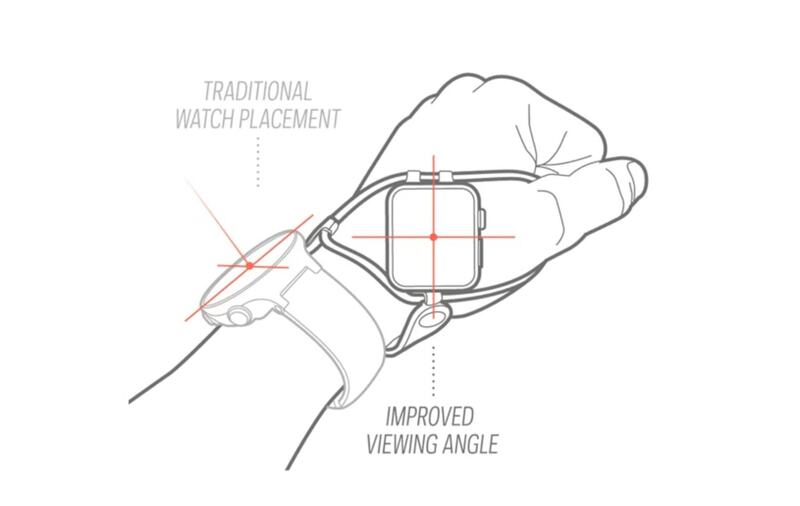 Enter EdgeGear’s SHIFT – a band that moves the face of a smartwatch to the spot on the hand just below where the thumb and forefinger meet (pictured). 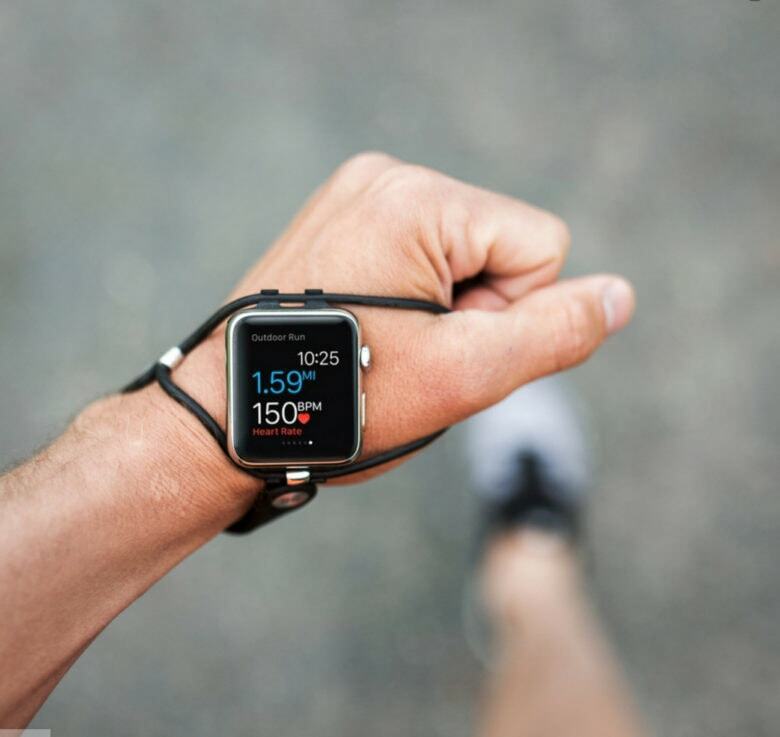 The result for runners, cyclists or anyone using the Apple Watch’s health tracking features is the face of the watch remains in the line of sight. The best part is EdgeGear engineers these performance bands for just $39.99. Pricey, traditional watches and bands just can’t measure up when it comes to fitness. After my morning run and workout, I found that I genuinely preferred Shift to Apple’s Sport band. Shift has durability and comfort at its core. It uses the same Viton material used in the Apple Watch and Nike+ Sport bands and is 33% lighter than these. On the wrist it feels as light as air. No strap means less sweat and contact and more breathability, which allows excellent heart rate functionality. This is probably the main reason why Shift performs better for me than the Sport band. There’s nothing I hate more than distraction during my workout, and the Sport band is just a little too bulky and sweaty for my taste. EdgeGear’s unique design makes Shift a breeze to put on and take off. Plus, it’s much faster than a normal strap and feels just as secure. I can strap it into to place and forget about it. Shift has an adjustable strap that fits petite to large size wrists and comes with three loop sizes. EdgeGear ensures a custom fit. I have ridiculously scrawny wrists, but Shift accommodates perfectly. If you’re a little intimidated by connecting your watch to Shift, don’t be. Check out EdgeGear’s super simple How-To video. It comes ready to fit tons of different watches, including Apple, Pebble, Garmin and Suunto and most spring-pin watches. Shift’s versatility and commitment to performance is outstanding. It’s an essential tool for any runner or cyclist or anyone who interacts with their smart watch during their workout. Get every edge from your gear at our Watch Store now!